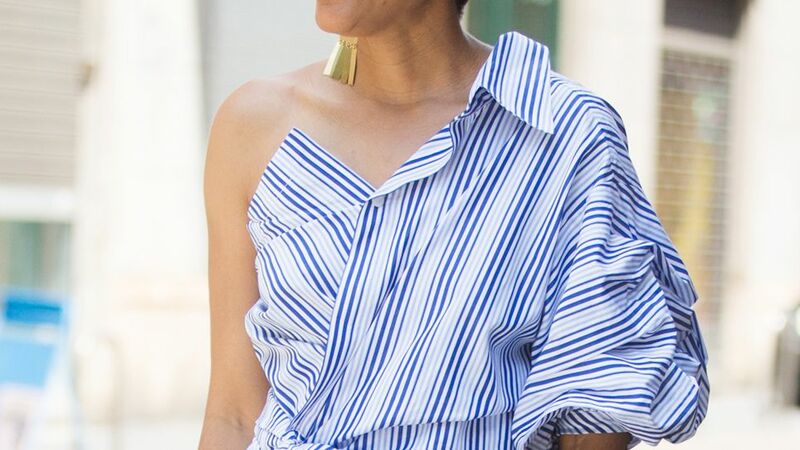 Frank & Eileen striped linen top. Approx. length: 25"L down center front, 31"L down center back. Spread collar; button front. Long sleeves; button cuffs. Chest patch pocket. Slightly oversized fit. Yoked back. Shirttail hem. Made in Italy. If you love the look of a crisp button down shirt but are craving something new, check out these new takes on the classic design.